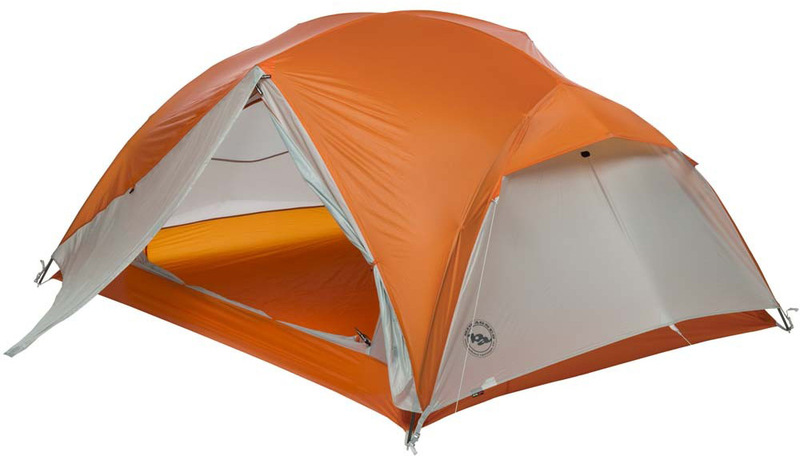 Big Agnes Copper Spur UL3 is a full-featured, ultralight backpacking tent that’s easy to pack, set-up and inhabit. Dual doors and steep vertical walls of the Copper Spur UL3 make long trips with a partner or two comfortable. There’s enough internal space to ensure that windy, rainy afternoons spent playing dominoes will be easy like Sunday morning. This three season, free standing, ultralight backpacking tent features DAC Featherlite NFL pole system with press fit connectors, and lightweight hubs. The fly, and the floor are ultralight silicone treated nylon rip-stop with a 1200mm waterproof polyurethane coating. Tent body is ultra lightweight nylon and polyester mesh, which offers excellent ventilation. Hub/pole design makes set up of the Big Agnes Copper Spur UL3 quick and easy.